Stamping includes a variety of sheet metal forming manufacturing processes such as punching, blanking, and bending. This process can be achieved in a single stage operation or through a series of stages, depending on the part. The typical material used for stamping is metal. Metal Stamping is a process that use dies to transform flat metal sheets into different shapes that you need. It is a process used in many things from your household appliances to automotive industries. 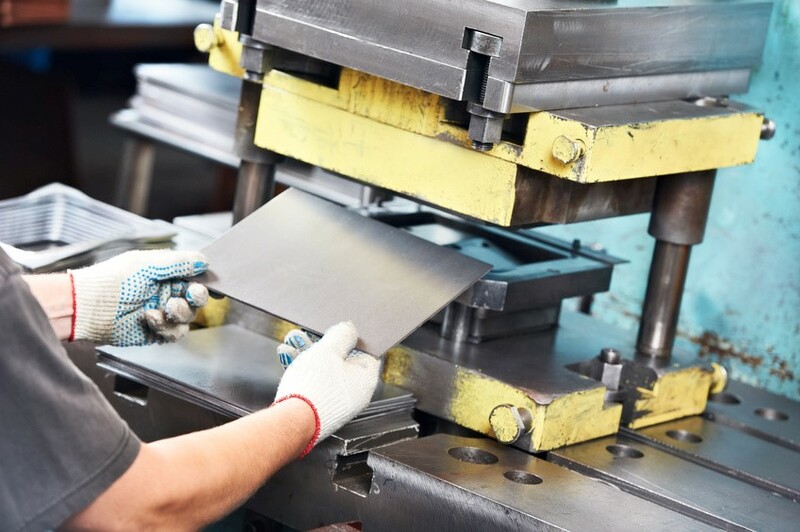 This process is widely used for producing parts for large machinery, but the metal sheets can also be molded into shapes for household items. Metal stamping machines are used to produce metal component parts in volume. The machines operate custom die sets that are made for the production of custom metal stampings. Through metal stamping processes, parts can be manufactured to close tolerances and from a great variety of materials. Metal stampings are used in a variety of industries because parts can be turned out at a very high rate and this is good for overall production times and costs.